I first introduced my Medieval sauce recipe in 1996 when I had opened a small cottage industry, at first producing sauces from original Roman recipes. 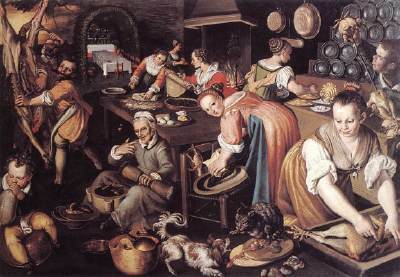 I think you will enjoy the spicy flavours so popular during medieval times. Likewise my recipe was popular at most of the Museums and Historical houses in England and Wales that I was making batches of 200 jars per day to keep up with sales,as well as selling more at the Re enactment markets John and I attended. 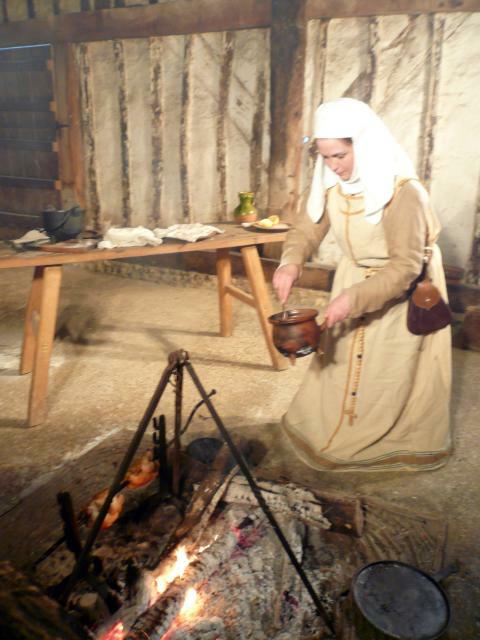 A Medieval cook stirring the sauce. 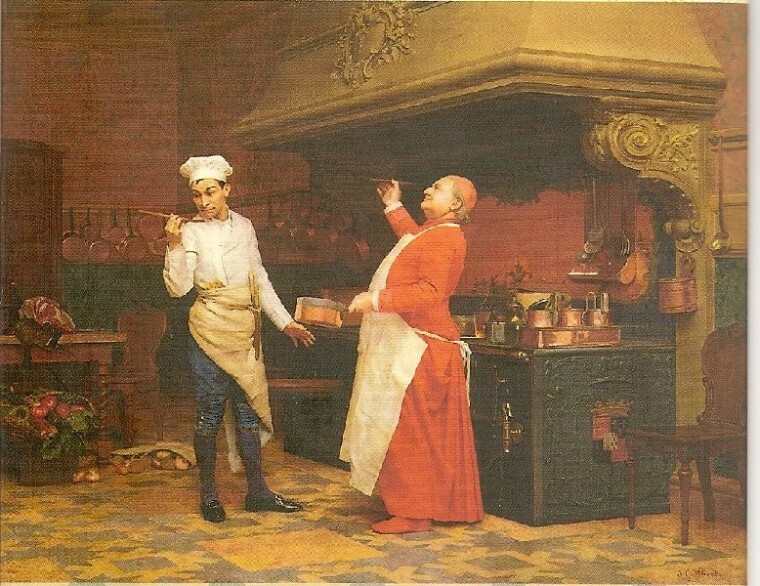 A discussion on the merits of sauce. add the fruit and pound well with the herbs. Mix well until a smooth consistency is achieved. PLEASE NOTE, Your personal taste may prefer this sauce to be either a little sweeter or more spicy. If so, vary this to your own taste. Use this sauce as a relish for all game bird such as pheasant,duck or goose. If a pouring sauce is preferred,add a little wine.pour over joint, and serve. This sauce also goes well with pork pies and ham. In fact, try it with any other foods you fancy. Hi Mark thanks for your comment ,Glad you like my Medieval Sauce recipe. Please refer back to it and when you try it out please let me know which meal you tried it with. Thanks for taking the time to read.